The Joint Comprehensive Plan of Action (JCPOA) has recently grabbed all of the nonproliferation headlines, but these types of agreements have proven historically an insufficient means of accomplishing their goals on their own. The paradox that plagues nonproliferation efforts that rely solely on JCPOA-style international agreements is that the countries these agreements seek to influence most are the least likely to be willing participants. To deal with future proliferators, the United States must continue to find supplementary means of influence and prepare to deal with the consequences of more states with advanced missile and nuclear capabilities. To be successful in nonproliferation, the United States will need to use all of the diplomatic tools at its disposal. While generally considered a strategic response with nations with developed missile arsenals, missile defense provides both leverage to discourage new proliferators and a tool to contain the consequences if these efforts are unsuccessful. Missiles will continue to offer an attractive means of delivering weapons of mass destruction (WMD) because they can deliver significant payloads without the need to gain air dominance. 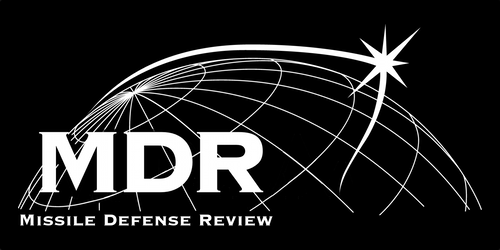 Failure to field a robust, global missile defense architecture also leaves the United States without options in cases where nonproliferation agreements fail to deter development of advanced missile arsenals. Capable missile defense robs new proliferators of much of the coercive leverage they hope to gain from building nuclear weapons; deterring their production by denying their benefits. New proliferators present challenges that can be met even by current missile defense technology and sufficient investment because their arsenals are initially small. Missile defense also contributes strongly to assuring allies of protection without nuclear weapons of their own, providing an effective nonproliferation tool that accounts for the incentives these nations face. Missile defense also provides a valuable bargaining chip to strengthen the hand of negotiators when dealing with future proliferators without needing to threaten the use of offensive force, a bluff that could threaten U.S. credibility. If the threat of force were required, missile defense could enhance its credibility because it provides both greater force protection and a means to limit damage from retaliatory strikes. On their own, nonproliferation agreements face a significant hurdle. Most nations that pursue nuclear weapons face extreme security challenges that justify the expenditure. From Iran’s perspective, after the War of the Cities during its 1980’s war with Iraq, investment in ballistic missiles and WMD looked like a matter of state survival. While Saddam Hussein’s downfall eliminated one of Iran’s threats, the new expanded American regional presence and Tehran’s place as a member of George W. Bush’s “Axis of Evil” left the Islamic Republic directly confronting an even more powerful adversary. Advocates of nonproliferation agreements respond that the process of negotiating itself can change the security environment in a favorable way. This assumes that parties to negotiations will be willing or able to fundamentally change their relationships. While many hail the recent Iran accord as an opening for repaired relations between the West and Tehran, the fact is that rifts remain over Iran’s support of regional proxies like Hezbollah and Houthi rebels in Yemen. The United States has promised increased weapons sales to Israel and its Gulf allies to allay fears about the wisdom of negotiating with the Islamic Republic, a move unlikely to win many friends in Tehran. To create the room to negotiate, each side must placate parties that benefit from the status quo alignments, making it difficult for agreements to produce larger shifts in political relationships. While negotiations may make it easier to expand cooperation on mutual interests like combatting ISIS, the process is unlikely to fundamentally change the strategic relationship. The need to resort to multilateral negotiations with Iran also illustrates a central tension in a pillar of nonproliferation, the Nuclear Nonproliferation Treaty (NPT). Despite Iran being a party to the NPT, the treaty failed to meaningfully limit Tehran’s nuclear developments. The Article IV commitment by nuclear states to facilitate the development of peaceful nuclear energy provided cover for Iran to develop the enrichment capacity for a weapons program, despite its abundance of natural gas to produce electricity. Previously, the NPT could not curtail proliferation efforts of India, Pakistan, Israel, and North Korea merely because they decided that they didn’t want to be a part of it. Even in the face of a strong norm against proliferation, certain states will derive advantage from standing outside the norm. Cases like Brazil, Argentina, South Africa, and the former Soviet states Kazakhstan, Ukraine and Belarus do not prove the effectiveness of a spreading norm but rather the seismic impact of political transitions, something missile defense can play a role in facilitating by giving the United States the strategic space to be patient and wait for oppressive regimes to collapse. By contrast, in situations where nonproliferation negotiations can be isolated as the only potential means to prevent the spread of nuclear weapons, the record is poor. In Iraq, signing the NPT did not prevent Baghdad from developing a multi-billion dollar nuclear weapons program that was only halted by the 1981 Israeli bombing of the Osirak nuclear facility, the 1991 Gulf War and post-war sanctions regime, and finally regime change after the 2003 U.S. invasion. In North Korea, repeated attempts including the 1994 Agreed Framework and Six Party Talks ultimately failed to prevent Pyongyang from testing a nuclear weapon in 2006. The historical record points to problems that will be difficult to resolve for agreements like the JCPOA on their own. While supporters of the deal laud the verification mechanisms, critics point to the lack of time to investigate the potential military dimensions (PMD) of the program Tehran swears is peaceful. Without access to this information, the IAEA will likely receive a splendid tour of Iran’s nuclear power industry, and not much in the way of verification that weaponization programs have been permanently ended. This is not terribly surprising. Nations want their militaries to defeat its adversaries in conflict. Because of this, government and military leaders are loath to allow outsiders to pry into their business for the sake of international norms. This is especially the case in Iran, where the enforcer of those norms, the United States, is a potential adversary it could fight. Even assuming the verification measures will be effective and unhindered, the North Korean experience proves that these agreements can be temporary. If Iran decides to throw out inspectors and resume progress towards a nuclear weapon, the only redress the international community can pursue under the agreement is snapback of the previous sanctions regime. This tactic relies on the same regime that failed to prevent Iran from developing a nuclear weapons program, forcing the international community to pursue the recently concluded negotiations. While sanctions undoubtedly played a role in slowing Iran’s drive towards nuclear weapons and weakened its economy, the North Korea example proves that certain countries will endure great hardship to pursue nuclear weapons. It is also questionable that sanctions would an immediate effect on an Iran racing towards a nuclear weapon. While not traditionally thought of as a nonproliferation measure, designing robust and effective missile defense programs offers certain benefits toward that end. In this light, one of the more important issues for containing or preventing a nuclear Iran is whether Gulf allies can resolve outstanding disputes and create an integrated and effective missile defense network. If Tehran implements the JCPOA and forgoes nuclear weapons, commentators will certainly laud the agreement as the savior. Such analysis would obfuscate the important role that other levers of influence play in producing successful nonproliferation policy.